Also here's the second part of my most recent chat with John Siuntres on his Word Balloon podcast. I think we rambled a lot in this one, talking about Johnny Cash and William Peterson and maybe some comics as well. My new gig: WHERE THE HELL AM I? Posted by Jason Aaron 1 comments Labels: WHERE THE HELL AM I? I'll be writing a new column for Comic Book Resources beginning next month. It's titled WHERE THE HELL AM I? and is about my experience breaking into comics and my thoughts on where I've ended up and where I'm headed and whatever the hell else I wanna talk about. Why? Because in the spirit of love, we are pledging to donate $50 to amfAR if Phelps and his crew actually show up (often they don’t) and $10 an hour additional to amfAR for every hour they stay. And we’ll make our donation in Fred’s name. Repost far and wide, my pretties. We’ll be donating to amfAR, but Sam and Ginny have both suggested the Human Rights Campaign. Either seems appropriate. Looks like the WBC is only scheduled for 45 minutes. (Lightweights!) If that’s the case, we’ll round up to $100–but times are tough and you shouldn’t feel like you have to do the same or not participate. $7.50 is better than nothing. $57.50 is peachy and cute. There seems to be some confusion–you don’t need to be at SDCC to pledge. We’re doing an online donation via this link. 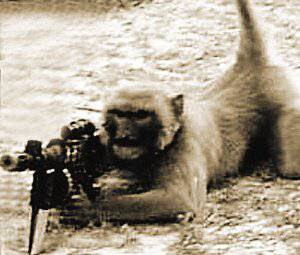 The Taliban is training machine gun-toting monkey-terrorists to kill us all. Make peace with your god today. It's out this week. It's drawn by the amazing Adam Kubert. It features Wolverine righting robots, a gun that blows up planets and a really REALLY big version of Dr. Droom. Click the above image for a preview. Thanks to everybody who voted for the Harvey Award nominations. I've been nominated for Best Writer and SCALPED has been nominated for Best Series. If I win either award, I promise to braid the trophy into my beard and wear it around forever. 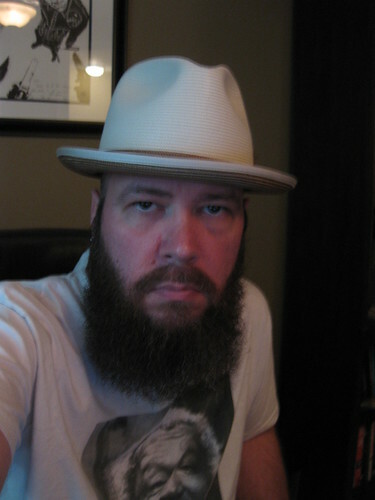 Beard progress -- July 2010, originally uploaded by Jason Aaron. I am coming for you, Alan Moore. I am coming. A sultry and suspenseful short directed by friend and fellow KC resident (and former BATMAN: THE ANIMATED SERIES writer), Mitch Brian. Rhubarb Pie from Todd Norris on Vimeo.